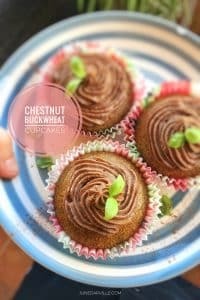 Chestnut Buckwheat Cupcakes Recipe | Simple. Tasty. Good. Cupcakes, glorious cupcakes! Have you ever made chestnut buckwheat cupcakes before? 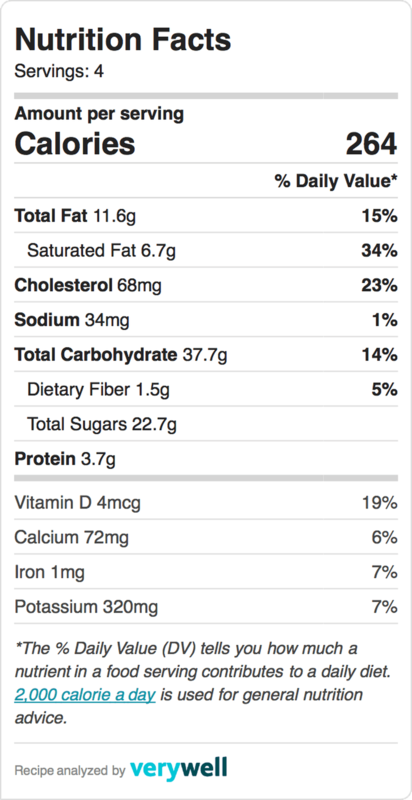 Good news because here is the perfect recipe for you in case this is what you are looking for! There’s a catch though: I used freshly cooked chestnuts for these chestnut buckwheat cupcakes but goes without saying that you can evidently use sweetened chestnut puree as well if you have no fresh ones! The only reason why I use fresh chestnuts for this first cupcake recipe is that I just prepared some freshly cooked chestnuts. 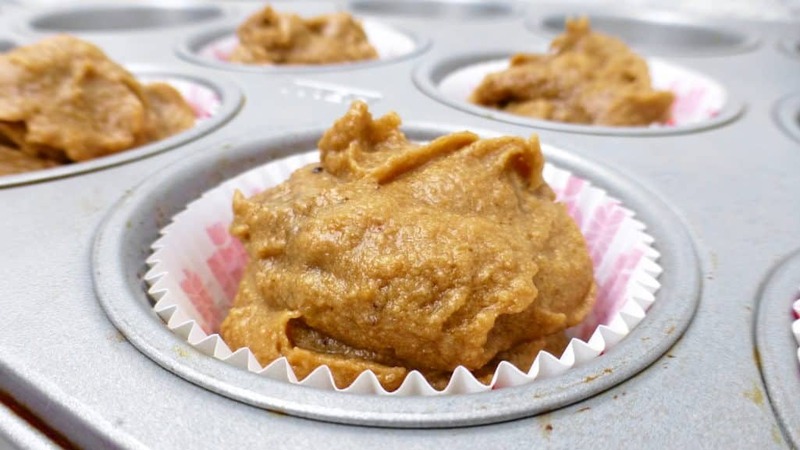 If you want to use canned chestnut puree or chestnut paste: then just make sure not to add too much brown sugar then while making your cupcake batter. The chestnut puree already contains sugar. I suggest you only add two tablespoons of brown sugar to the cupcake batter to make the cupcakes nicely sweet in flavor but not too sweet. Since I am using fresh chestnuts only I add a larger amount of sugar. Scroll down to the second recipe below if you are using canned chestnut puree or chestnut paste! Watch my video of how I’m preparing these lovely chestnut buckwheat cupcakes in my fabulous KitchenAid Stand Mixer Mini! So what about the frosting here? I made a simple frosting: I whipped up a tablespoon of soft unsalted butter, a tablespoon of the chestnut paste and a tablespoon of instant hot cocoa powder. That cocoa powder will give that frosting a nicer dark brown color instead of the greyish chestnut color. Then just pipe the frosting on top of the baked cupcakes. Watch out: only do this once the cupcakes have fully cooled down or the frosting will melt and make them look horrible. Are you looking for another sweet chestnut dessert? Then try out my super sweet chestnut chocolate cake! Or how about my chestnut chocolate spread for breakfast? Enjoy! Chestnut buckwheat cupcakes, fluffly cupcakes with buckwheat and cinnamon! Add the cooked chestnuts (or sweetened chestnut puree if using) and cream to a blender. Blend until you get a rough mixture. 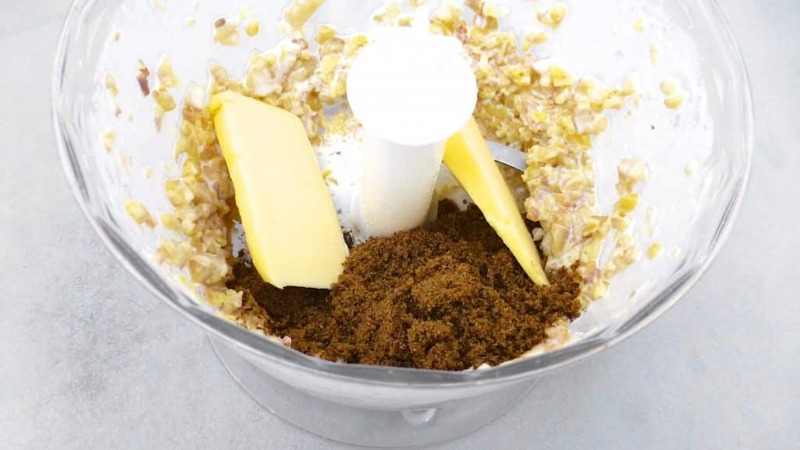 Then add the brown sugar and soft butter: only add 2 tablespoons of brown sugar if you are using sweetened chestnut puree! Then blend the ingredients for a about 30 seconds until you get a smooth mixture. Then add the seeds of the vanilla bean, the buckwheat flour, baking powder, egg and a pinch of salt and ground cinnamon. 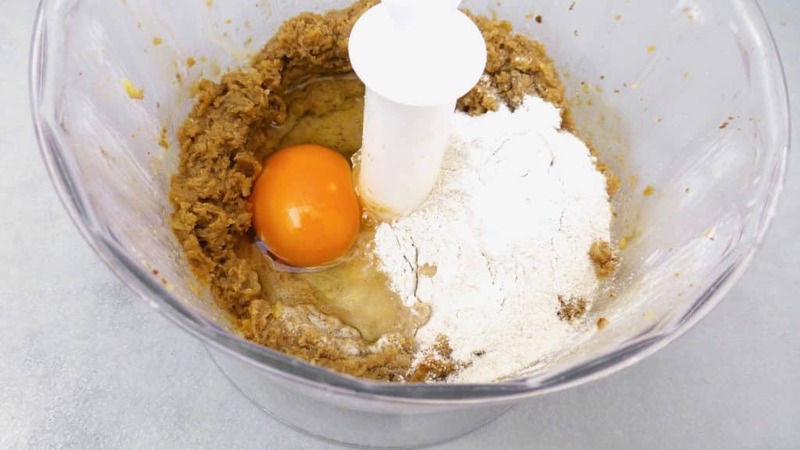 Blend well again for a few seconds or until you end up with a sticky brownish cake batter. 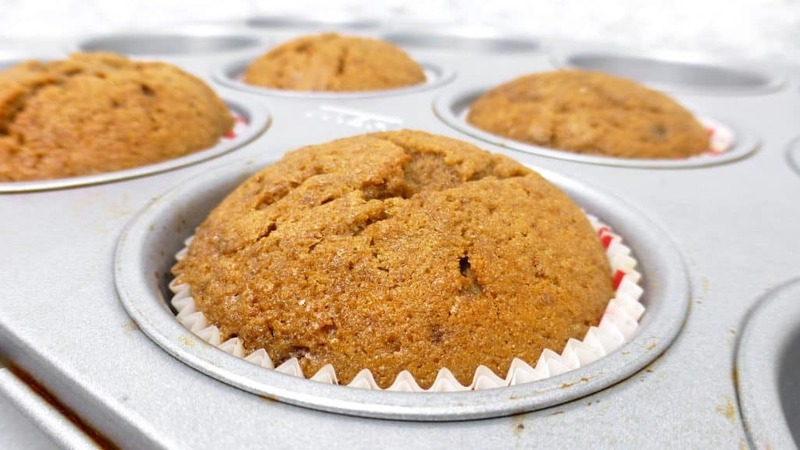 Line a muffin tin with 4 paper cupcake casings and divide the cake batter evenly over them. Bake the chestnut cupcakes in a preheated oven at 356°C (180°C) for about 30 minutes until they have risen beautifully. Then take them out of the hot oven and let them cool down fully in the muffin tin. Prepare your favorite frosting in the meantime. Cream cheese, Nutella, cocoa powder... Whatever combination you like for these chestnut buckwheat cupcakes! Pipe the frosting on top of the cupcakes only when they are fully cooled or the frosting will melt. So in this second chestnut buckwheat cupcake recipe I am using chestnut paste instead of freshly cooked chestnuts. You can use canned chestnut puree or… the product that I used for these cupcakes: sweetened chestnut paste of Swiss brand Hero. A friend of mine gave me 2 tubes of this paste a month ago, time to try it out! And it worked out perfectly. But the canned version is good as well. And what better device could I use to whip together a lovely airy cupcake batter for my chestnut buckwheat cupcakes than my fabulous KitchenAid Stand Mixer Mini then! Boy I can’t repeat enough how much I love this stand mixer. Here is my recipe video again by the way! Make these chestnut buckwheat cupcakes in your stand mixer! 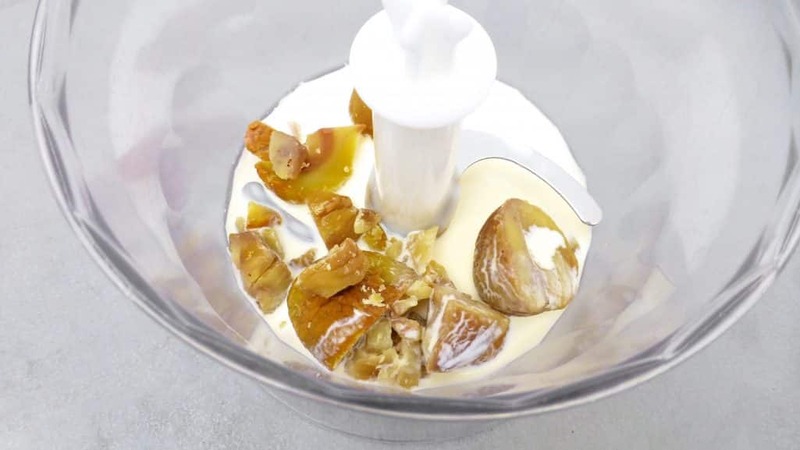 Add the chestnut puree, cream, brown sugar and soft butter to the bowl of the stand mixer. Also add the seeds of the vanilla bean, the buckwheat flour, baking powder, egg and a pinch of salt and ground cinnamon. Then attach the wire whip and lower the mixer head. Set the speed to 3 and mix the ingredients for 4 minutes. You should end up with a thick and sticky brownish almost grey colored cake batter. Line a muffin tin with 4 paper cupcake casings and then divide the cake batter evenly over them. You can prepare your favorite frosting in the meantime. Cream cheese, Nutella, cocoa powder... Whatever combination you like for your chestnut buckwheat cupcakes! Pipe the frosting on top of the cupcakes only when they are fully cooled or the frosting will melt. Serve.